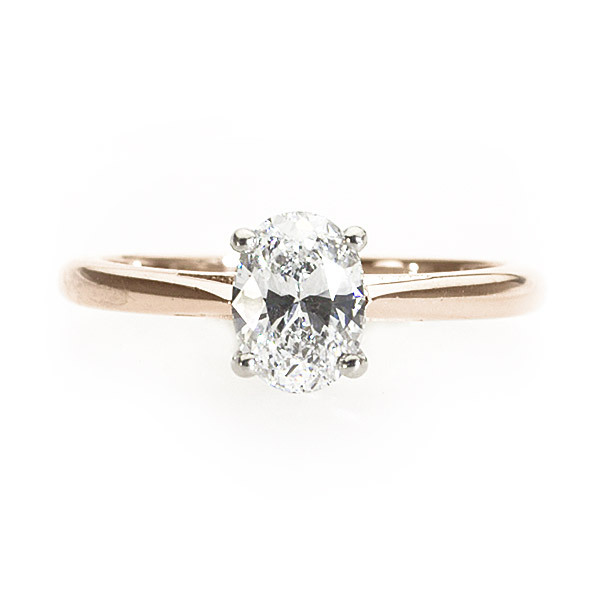 This dainty ring holds a dazzling oval diamond as the main feature of the ring. The sleek band tapering in to meet the stunning elongated gem helps to lengthen the finger of the wearer. The simplistic nature of the ring allows to you a lot of freedom when choosing your wedding band. Like all of my rings, this can be made for you in any diamond size, any finger size and any metal.